New to Magic the Gathering? We can teach you for free and at your own pace. We will also provide you with 2 free starter decks - 30 cards each! Whether you're new to the game or a veteran at Magic, we hope you find a home away from home with us every Friday. 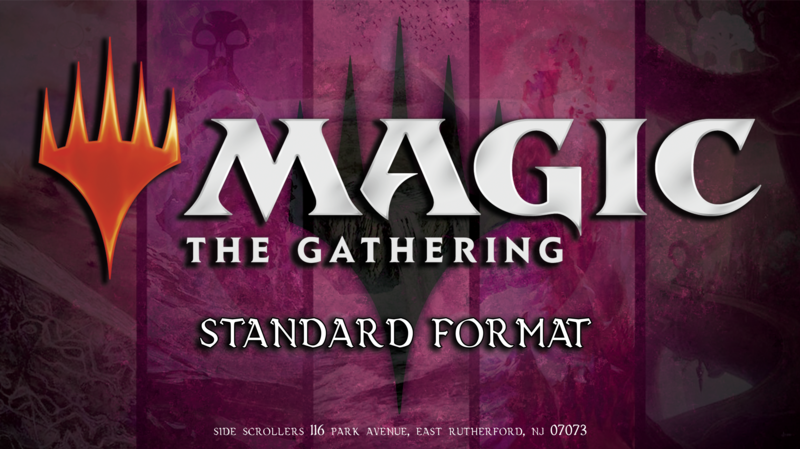 Please be sure to include the allowed set list and banned card list from this link. Entry: $15; each player will receive 3 packs. 1st place/Top cut will receive additional packs. # of Rounds: 3-4 rounds. Each round is 50 minutes and are best 2 out of 3 duels. 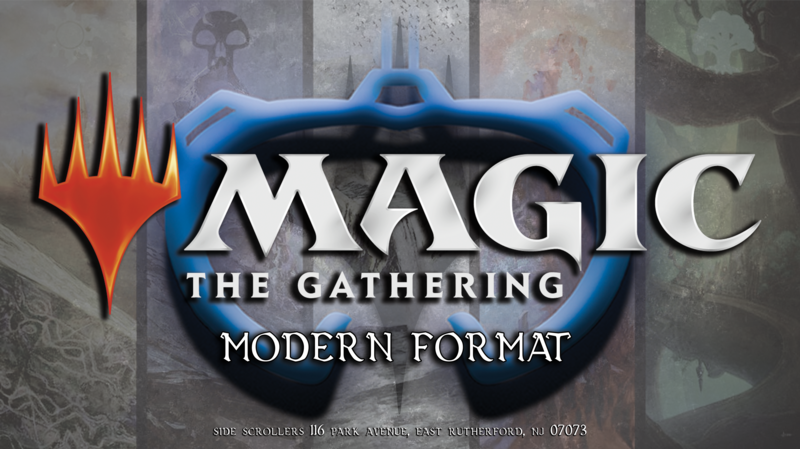 Healthy supply of basic lands will be provided although we do recommend that players bring extra basic lands just in case. Players are seated randomly at the table. Once everyone has found their seats, each player opens his or her first booster pack, chooses one card from the pack, and puts it face-down on the table. Once you've done this, pass the rest of the pack to the player on your left. Once everyone has passed their packs, pick up the next pack, pick the best card for your deck from that pack and put it in your pile, and again pass it to the neighbor on your left. This process continues until all the cards from the pack have been picked. You then get a review period to look at the cards you have picked and figure out what direction your deck is going (typically this lasts 60 seconds). Once that ends, each player opens his or her next pack, picks a card, and passes the pack to the right (Packs go left, right, left.). This continues as before until all cards from a pack have been chosen, and then you get another review period before opening the final pack, taking a card, and passing to your left again. 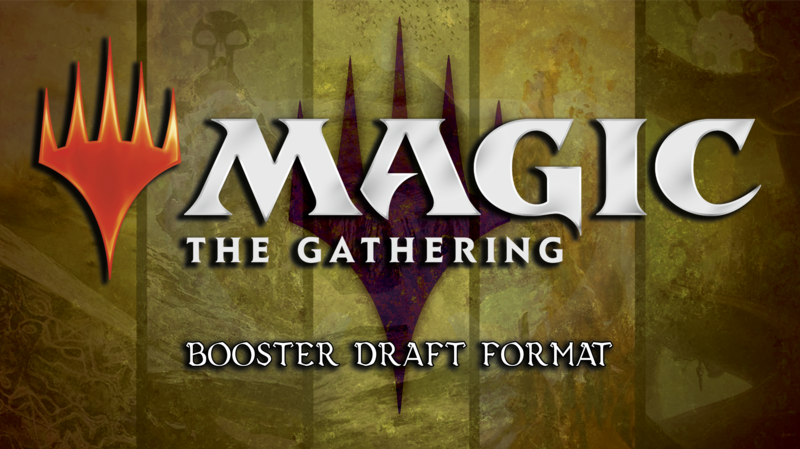 Any drafted or opened cards not used in a player's Limited deck will then function as their sideboard.